Labor day weekend Meghan, Stefanie, and I flew out to Sundance, Utah. 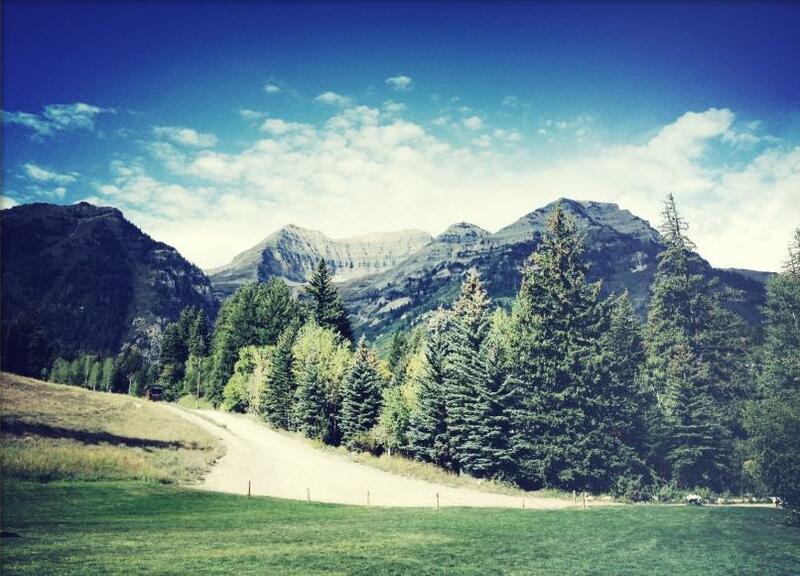 Our installation at Elk Meadows at the Sundance Resort was eight days long. We can’t really share pics but we would love to share the view we got to look at for a week. There were some mosquito bites, a snake here and there, a little afternoon shower the day before that completely soaked us and perhaps created a little install mayhem. All obstacles aside, on Saturday, September 8, the week culminated in complete Bohemian perfection for two of the loveliest people we have gotten to know this year. H&B, we miss you! Back from Sundance, and right into the Emmys… we had the pleasure of creating a fantastic Emmy celebration for a talent agency. The client’s wife is an interior decorator with extraordinary taste and vision, so needless to say it was a love-fest, and a pleasure. 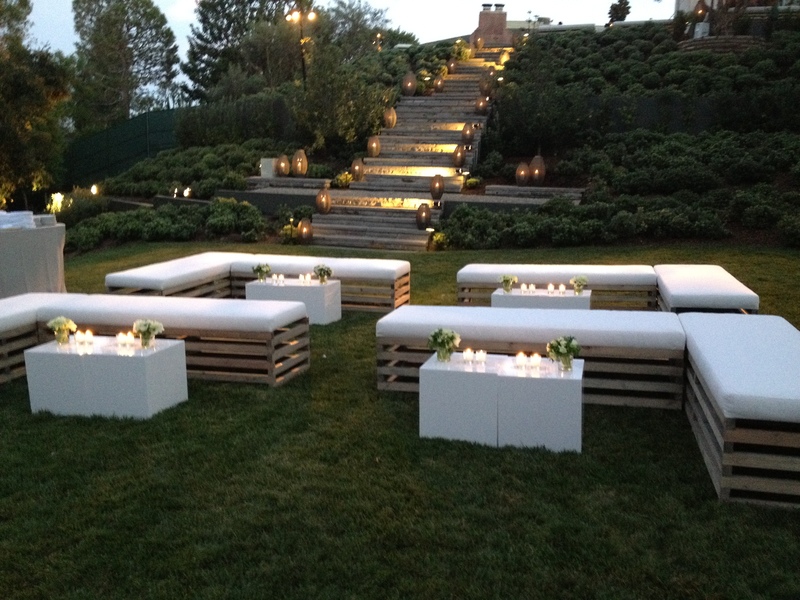 Client sent us a great photo, and the result was a custom rustic/modern outdoor lounge. Jon Shook & Vinnie Dotolo from Animal Catering created a food fantasy for over 500 guests. Can’t get enough of those lobster rolls… and by can’t get enough, I might mean I ate seven. Have you tried the fried chicken sandwiches at Son of a Gun? Do yourself a favor and get over there. 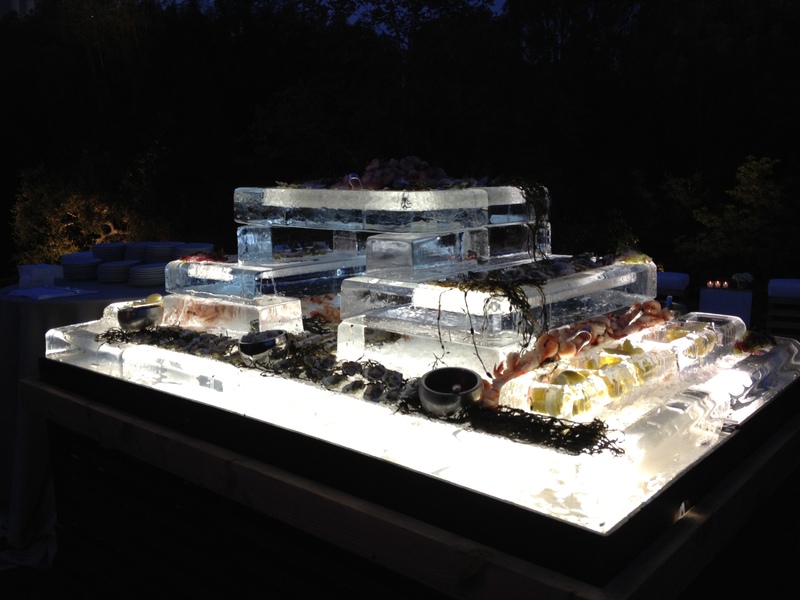 Raw bar was presented in an ice sculpture, and I know what you’re thinking… ice sculpture? Really? Yeah, really, but super modern rectangular trays that held the crushed ice and seafood. We finished off the evening with my favorite ice cream, Sweet Rose Creamery… HEAVEN in a cup. Flavors included salted caramel, fresh mint with homemade chocolate chips, peach sorbet and toppings like crispy almonds, fresh roasted granola with coconut and carnival sprinkles. You have not tasted ice cream like this before, I guarantee it. Decor was simple simple simple, with white cubed coffee tables, white anemones in glass containers, tall glass votives with plenty of candles and large arrangements of magnolia branches on the bars and buffets. We wrapped up the month at YOA with a trek to Big Sur for a weekend under the stars (quite literally, ha!) 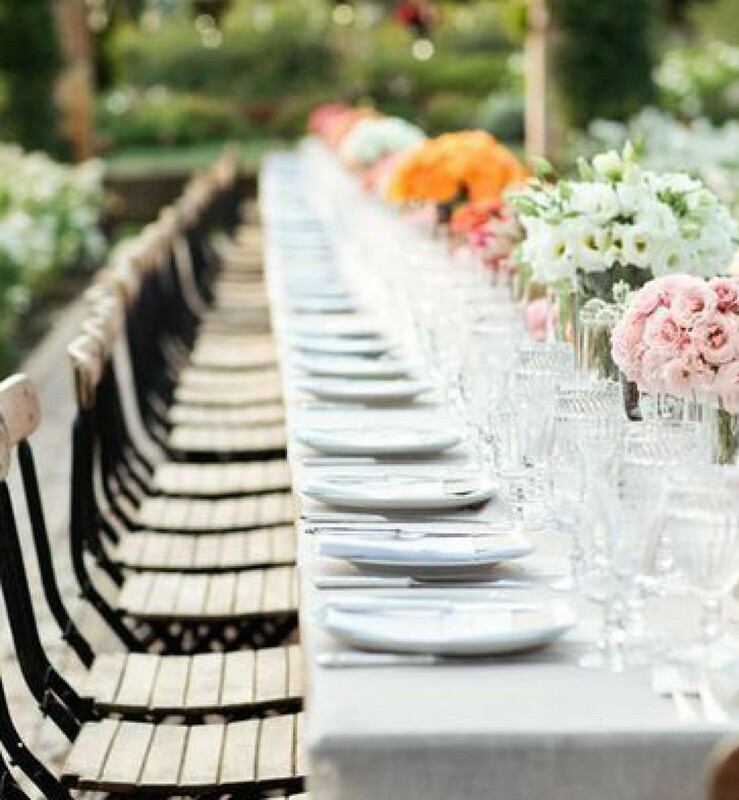 and then back for a lovely garden wedding at the newly renovated and reopened Hotel Bel Air. Can’t share pics of these events either, but take our word for it… they were beauties… and we are proud (and a little tired). Ok, back to work, getting ready for a Gilt.com/Jetsetter surprise event tomorrow… check back soon. PS – I just got back from an amazing ten days in Italy and took a million beautiful photos. Will share some of my favorite places soon. Ciao!